Figure 1: A scanning electron micrograph of a colony of Streptococcus mutans bacteria, such as those found in the fuzzy plaque on teeth. These are the bacteria responsible for the vast majority of tooth decay. Dental prophylaxis can help eliminate harmful bacteria in the mouth. (Image from http://www.zahnarzt-stuttgart.com, used with permission). 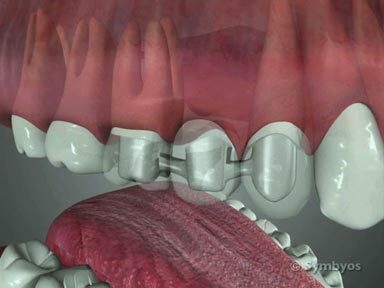 The word prophylaxis means “a measure taken for prevention.” In dentistry, it refers to a professional dental cleaning. Prophylaxis involves cleaning mineralized accumulations of bacteria-rich tartar, and superficial stains from the teeth of patient who do not have active gum disease. If bacterial plaques (Figure 1) are allowed to remain in the mouth, the immune system produces an inflammatory reaction which is harmful to tissue. The bacteria themselves release acids and enzymes which are also destructive to tissue—including the hard tissues of teeth and bone. Even a person who is meticulous about cleaning the teeth and gums will typically develop calculus deposits at some locations in the mouth, most notably around the salivary glands (cheek side of upper molars, and behind the lower front teeth). Those who have dental restorations (fillings, crowns, etc.) 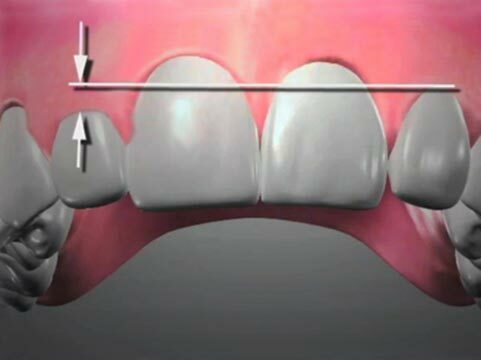 have the additional challenge of preventing accumulations of plaque and calculus around the edges (margins) of those restorations, especially if they are poorly contoured. Oral diseases (caries and periodontal disease) are bacterial illnesses. Bacteria that inhabit the mouth can enter the body through oral circulation and lead to systemic illnesses. Preventing these processes from occurring means practicing excellent oral hygiene such as brushing and flossing; and having your mouth and teeth examined and cleaned regularly, according to a schedule recommended by your dentist. Prophylaxis is typically recommended twice a year for the “average” healthy adult patient. There is variability in this interval that is specific to the individual. For adult patients who maintain meticulous oral hygiene, proper nutrition, and have never experienced tooth cavities or gum problems, an annual prophylaxis interval may be appropriate. Only a dentist can determine the proper frequency for examinations and prophylaxis. Some patients, such as those with mental or physical challenges that impair effective oral hygiene may require prophylaxis as often as every six to eight weeks in certain circumstances. The interval should be based on the individual’s ability to keep their mouth clean, the rate at which bacteria colonize the individual’s teeth and gums, the individual’s immune response, and the individual’s general health, among other factors. The patient’s health history is reviewed to rule out conditions which might force a delay in dental treatment (even cleanings). For example, a recent hip replacement surgery necessitates premedication with antibiotics before any dental procedure that could produce even minor bleeding from the gums. Frequently, patients will be asked to rinse their mouths with chlorhexidine prior to the cleaning, to reduce the number of live pathogens (bacteria and virus) present before starting the procedure. This is especially true during the cold and flu season. Offices that recommend this generally do so universally (for all of the patients), to reduce the providers’ exposure to the germs. Various hand instruments (scalers) will be adapted to the teeth, and their scaling surfaces applied to calculus deposits on tooth enamel and exposed root surfaces. The calculus is removed in strokes directed toward the biting surfaces of the teeth to lift the deposits away from the gums. Heavier deposits and stain may be removed with any of several ultrasonic or piezoelectric scalers on the market, which apply energy to the tip of the instrument that helps remove calculus and destroys bacteria by sound wave destruction (sonication) of the bacterial cell walls. Polishing the teeth with prophy paste is usually done because it makes the teeth feel cleaner, and can remove some superficial stains; however from a therapeutic perspective, it isn’t an essential element of prophylaxis.